Unable to assign new periods while completing the year end wizard? Are you facing an error message that says “New periods could not be assigned”? Well, this error message indicates that the closing of the year end process is encountering a problem while assigning new periods to each transaction in the system and requires manual intervention. The problem arises either because the periods are not being created correctly or they can’t be correctly assigned during the year end wizard. But, don’t worry! The error message can be easily fixed by following the troubleshooting steps mentioned below. However, you must always create a backup of your data before performing the solution. 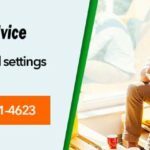 Also, if necessary, you can seek expert assistance from our Sage support technicians by dialing our toll free number 1800-961-4623 We can help you fix the error message within minutes to help you get going. Restore the backup that you have created before closing the fiscal year. Now go to Company Information and make a note of the company Directory. Keep files that end with DAT, DDF, PTB, PWP, CAX, MKD, a VERSION.TXT , KMSKeys.xml and DETAILS.INI , CrystalReports.udl, *.PRT , and ~PVSW~.LOC file. Delete all other files. Now open Sage 50 and try to close the fiscal year again. If the problem still persists, restore to the backup made earlier and proceed to Step 2. Now select the option for Both Tests and click Start. Create a back up by clicking Save when prompted. Once the test is complete, try closing the Fiscal Year again. If the issue still persists, proceed to Step 3. Note: Before running any integrity checks, always ensure that you are on the latest batch of your release. In order to check updates, go to Services and select Check for Updates. Click to open Sage 50. Integrity Check will now be available from the File menu. Create a complete backup of your data. Change your accounting period to Period 1. Now select File from the menu and select Integrity Check. Click Continue to proceed further. From the Reindex File List, select Jrnl Header and click OK.
Access the Integrity Check and click Continue. Once again select Reindex Files box. From the Reindex File List, now select Jrnl Rows and click OK. Select Chart of Accounts/Journal box under the Data Synchronization Tests section and click OK. Check if your issue has been successfully resolved. That’s it. By following the aforementioned steps, you can easily fix the Sage 50 “New periods could not be assigned” error. But, if you are still facing the problem or if there are issues while performing the steps, give us a call. Dial our toll free number 1800-961-4623 and our friendly technicians can help you resolve the error message in no time. Not just that, they will also optimize the speed and performance of your computer to help you make the most of technology. For efficient troubleshooting of all Sage 50 errors in minimum time, call Accountingadvice.co today. 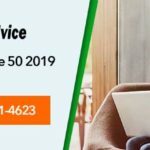 We are one of the leading and most sought after remote tech support providers offering expert Sage 50 support services to our customers all over the world. 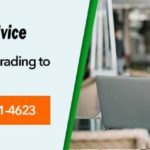 We are backed by a team of well trained and expert technicians who have all the skills and resources to fix all your Sage related problems in minutes. They have years of experience in the tech support industry and have resolved hundreds of thousands of issues to perfection. Not just that, all our technicians ensure minimum wait time and offer first call resolution to all issues. 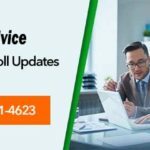 They can help you install, update, upgrade, and optimize your Sage Accounting software so that it can meet all your advanced accounting needs. They can also resolve all error messages that might be hampering the performance of your software. Call us today on our toll free number 1800-961-4623 and we can provide expert resolution for all your tech problems.